MEGADETH has announced today the details for the North American leg of their Dystopia World Tour, which will kick off in Dallas, TX on February 20, 2016. The North American leg will take them across the U.S, visiting 12 states and throughout Canada. Tickets for the Dystopia World Tour go on sale in Denver on Friday, December 11 – check www.megadeth.com for additional info. There will also be an exclusive pre-sale for MEGADETH fan club members on December 8 at 10:00 am local time with details also available at www.megadeth.com. MEGADETH will be on tour in support of their new album Dystopia being released on Universal Music Enterprises /Tradecraft / T-Boy Records on January 22, 2016. 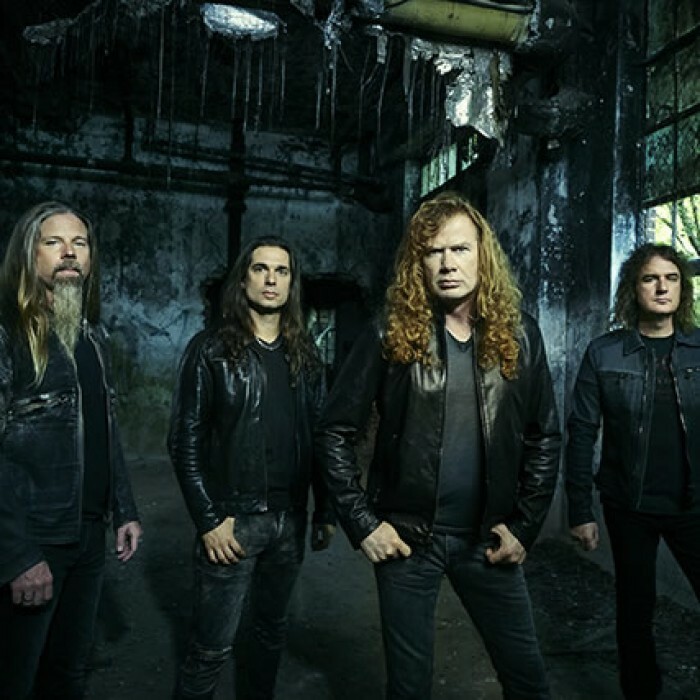 Along with band visionary Dave Mustaine at the helm, MEGADETH’s current touring lineup will be Kiko Loureiro (formerly of Angra) on guitar, David “Junior” Ellefson on bass, and drummer Chris Adler (Lamb of God), all of who are featured on the new album. Tickets are $42.75 GA plus applicable service charges.